The weeks following childbirth are often marked by strong emotions, mood swings, and fatigue. It is important for the new mother to have support from her family and community as she recovers from the birth and adjusts to the joyful and overwhelming reality of caring for a new infant. Halachically, the process of becoming tehorah after giving birth is almost identical to that following regular menses. In practice, bleeding generally lasts much longer (the median is 28 days) and becomes intermittent before stopping completely. A woman who has difficulty counting shivah neki'im postpartum should not hesitate to ask halachic questions as often as necessary. 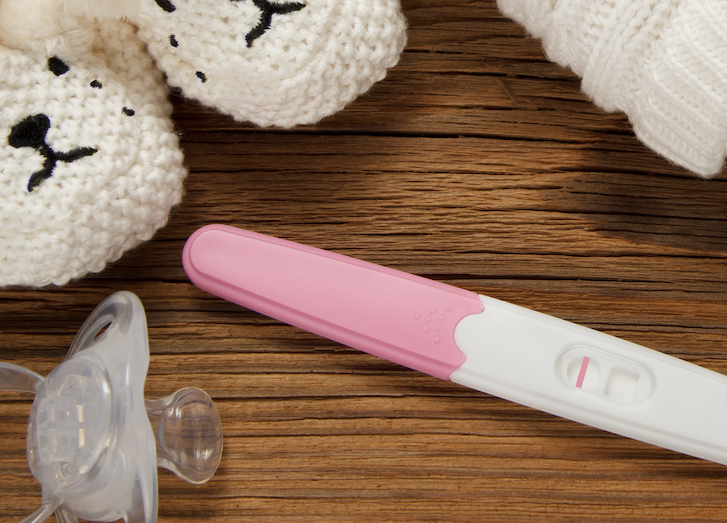 After giving birth, most women bleed for several weeks. When the bleeding stops, one can do a hefsek taharah, count shivah neki'im, and immerse in the mikveh. The procedure is exactly the same as after a menstrual period, but it does not always go as smoothly. The median duration of postpartum bleeding (lochia) is 28 days and it can stop and then start again. Often, a woman will get a clean hefsek taharah, but find that bleeding resumes during the shivah neki'im. One should not hesitate to ask halachic questions during this process. If a woman encounters difficulties, a rabbi may permit her to omit or modify some of the bedikot. It may also be necessary to show stains or bedikot to a rabbi, especially those with a brownish discharge. If a woman finds the moch dachuk uncomfortable, she may omit it during the time that her body is still recovering from childbirth. Most health care providers instruct women to delay marital relations until about six weeks postpartum. A woman who is able to complete her shivah neki'im before this point may immerse in the mikveh so that the couple can stop keeping the harchakot. Although bleeding at this stage is still normal, the six-week postpartum visit is a good opportunity to raise any questions with one's doctor. If the couple are considering using contraception, this is also the time to discuss the available options. It is normal not to get to the mikveh until at least a month or two after giving birth. If difficulties continue after two months, it is worth discussing the situation with one's rabbi and one's physician. Most of us feel sad or miserable at one time or another. Clinical depression is a mood disorder in which feelings of sadness, loss, anger, or frustration persist for an extended time to a degree that they interfere with everyday life. When this condition occurs during pregnancy or within a year of delivery it is called perinatal depression. When it occurs within a year of childbirth, it is also referred to as postpartum depression. Diagnosis of depression during pregnancy is sometimes difficult as the normal changes of pregnancy often lead to similar complaints – fatigue, difficulty sleeping, and changes in body weight. Similar phenomena can also occur when a woman awakens frequently to care for an infant. But when the symptoms are severe enough to affect the functioning of the woman or her family, and do not improve with simple interventions to assure adequate sleep, a diagnosis of depression should be considered. It is not uncommon for women to experience extremes in mood during the days after childbirth. Some feel very sad and weepy ("baby blues"), others feel euphoric and as if they could conquer the world, others swing from one extreme to the other. Any of these within the first two weeks, as long as there are no serious thoughts of harming oneself or the baby, are normal and are not a cause for concern. Simple interventions to assist the mother generally help her feel better. These include letting her nap when the baby naps and reducing to the absolute minimum any other household responsibilities of the new mother. Even better than waiting to see if the mother will have trouble is to prepare in advance for help in the house – a gift of household help is of greater use to most families than yet another outfit the infant will soon outgrow. If the feelings do not subside after two weeks, or if such feelings begin spontaneously during the first year, consultation with a physician should be considered. True clinical depression can be distinguished from simply feeling sad because of the much greater impact on a woman's well being and functioning. Treatment of the mother is important for both the mother and her infant; studies have shown impact such as decreased weight gain among infants of depressed mothers. Depending on degree, treatment can include counseling, support groups and/or medication. With help, the condition resolves. In general, if intervention begins sooner, the duration of postpartum depression and the associated suffering can be minimized. Thus it is important not to be embarrassed and to ask for help if one suspects one is depressed. 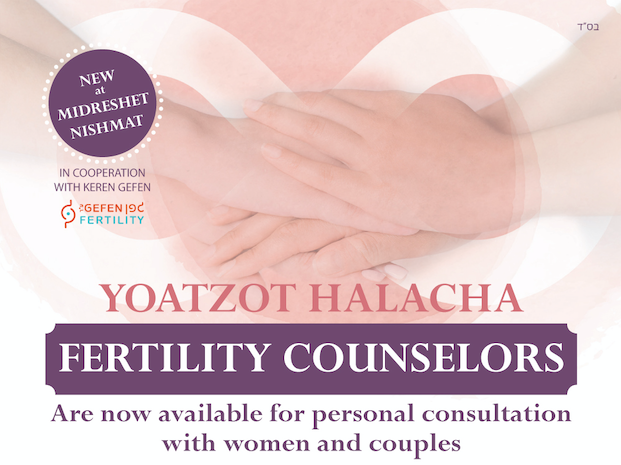 Information specific to observant Jewish women can be obtained through NITZA – The Israel Center for Maternal Health. NITZA was founded in 1997 as a grassroots organization supporting and financially assisting women across Israel suffering from the devastating effects of Postpartum Depression and its related syndromes. You can also find out more about depression during and after pregnancy by contacting the National Women's Health Information Center (NWHIC) at 1-800-994-9662 or the following organizations.